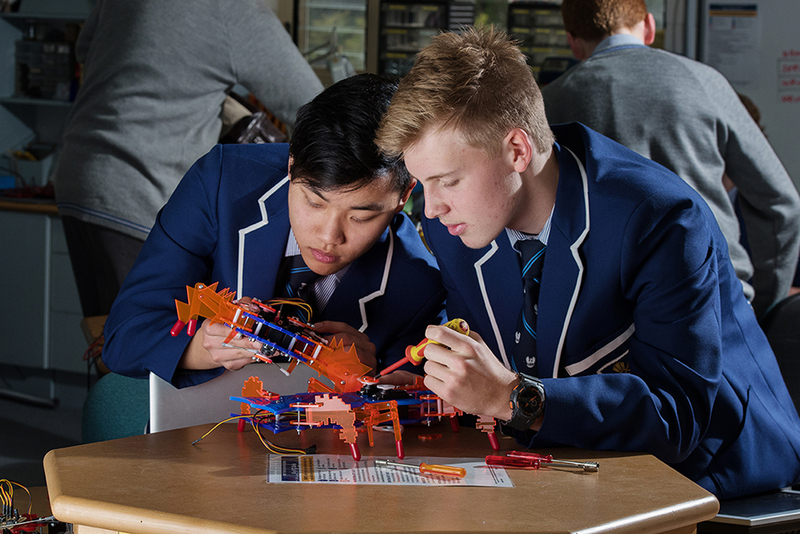 Coding is not just a part of the digital technologies curriculum at St Peter’s College in Adelaide, it’s a language students speak both in and outside of class. Students Edward and Sebastian put the finishing touches on their hand built robot. The movement code is written and programmed by the boys at St Peter's College. In 2012 the school launched a Coding Society, a co-curricular club for students in Years 5 to 12.